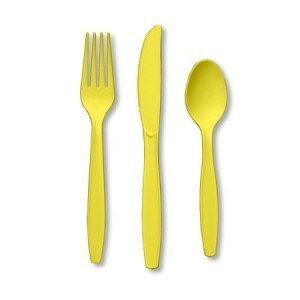 A pack of 24 pieces of plastic cutlery in fresh lemon - 8 forks, 8 knives & 8 spoons. 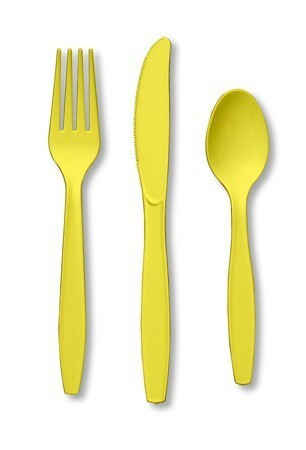 This is a set of high quality disposable cutlery, but can be washed and re-used. Ideal for buffets, outdoor parties and when you don't want to get the 'best silver' out.